Here are some examples of recent projects we have undertaken. Please contact us for more information on any of these projects. 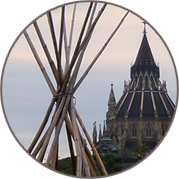 PMC has assisted many small, medium and large Indigenous organizations and communities with a wide variety of needs. PMC assisted a First Nation in developing a 5-year Human Resources (HR) Strategy that responded to the economic and social Vision for their community. The work included an HR Audit of various HR policies and practices. PMC then assisted with implementing a number of the recommendations in the strategy: an employee engagement survey; a competency framework for managers; a training and development plan; a competency framework for all employees; creating a non-discriminatory selection process; and a new annual review process. Indigenous agreement holders deliver Indigenous training and other labour market programs to their clients through an arrangement with Employment and Social Development Canada. PMC assisted one such agency serving a population of 18,000 with the development of a strategic plan that will help guide and focus the organization’s activities in the coming years as it transitions its service delivery model to one that emphasizes partnerships and demand-based funding. The Environment Department of a Tribal Council had an increasingly complex mandate, and a need to closely coordinate its activities with multiple stakeholders and levels of government. PMC assisted the department in the development of a 5 year strategic plan. PMC was selected to provide a customized corporate-wide Leadership Development Program (LDP) for a Crown Corporation owned by the Government of Nunavut. The program was customized and delivered for approximately 40 leaders. PMC worked with the Youth Coordinator and her staff in a First Nation of 1300 residents to deliver a program of team building and leadership coaching. The program was designed to help align the team to achieve a renewed and energetic mandate of program development and coordination. 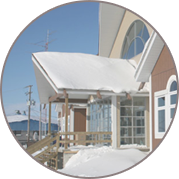 PMC is assisting the leadership and administrative management of a First Nation to prepare the organization to assume the responsibilities associated with the eventual operations of its new village. The comprehensive work includes the establishment of an effective governance framework, creation of standard operating policies and procedures, drafting of job descriptions, and conducting job-specific training needs analysis. As well, a 10-module leadership development program was delivered to elected officials to build capacity in a wide range of core competencies: representation, facilitation, decision-making, policy-making, negotiating, financial management and much more. When the Director General of a First Nation announced his retirement after 25 years in the position, PMC was asked by the Chief to assist Council in structuring and implementing an objective and transparent process for recruiting and selecting the best candidate for the position. In many Indigenous communities, the elected councillors each have one or more portfolios for which they are responsible, such as economic development, housing, social development, etc. PMC has been assisting councillors in one community to effectively manage and report on their portfolios through active coaching as well as the creation of templates and tools. One of PMC’s consultants is a former director of Ottawa’s best known municipal recreational centres and a leadership instructor and coach. PMC worked with the Director of Recreation and the Sports Complex Manager in one First Nation community in an ongoing program of leadership development and an action plan for enhanced activity programming. The program included site tours of municipal facilities in the Ottawa area, and a review of best practices. PMC provided training on Finance and Budget Development to all managers in the Cree Nation of Wemindji and for Justice and Corrections Officers in CRA’s Department of Justice. PMC has a Standing Offer with the Government of Nunavut to deliver a wide variety of courses in the areas of Supervisory Skills, Communications and Career Development. Courses are being delivered in Iqaluit as well as Cambridge Bay and Rankin Inlet. PMC assisted an Indigenous agreement holder to prepare a comprehensive submission for a five-year labour market funding program managed by Employment and Social Development Canada. A First Nation had a need to deliver training to the employees in its administration but did not have the necessary funds. PMC assisted in preparing a successful submission to AANDC to address the skills gaps identified, and then delivered the training to the managers and employees. PMC has a multi-year Standing Offer with the Government of Nunavut to deliver a wide variety of courses in the areas of Supervisory Skills, Communications and Career Development. Courses are being delivered in Iqaluit as well as many of the smaller communities such as Cambridge Bay and Rankin Inlet.